Hello, my name is Leah! I am a student in the Lizard Lab at Trinity University, and I’m studying lizard jaws. I just began this project, and I am trying to learn if the way lizards use their mouths in eating and fighting is related to the structure of the muscles and bones in their jaws. The first step of my new project is to learn what kind of food is eaten by the species I’m studying. This is actually a hard thing to study! So, I’m going to learn what other scientists know about what these lizards eat by reading lots of scientific articles about them. 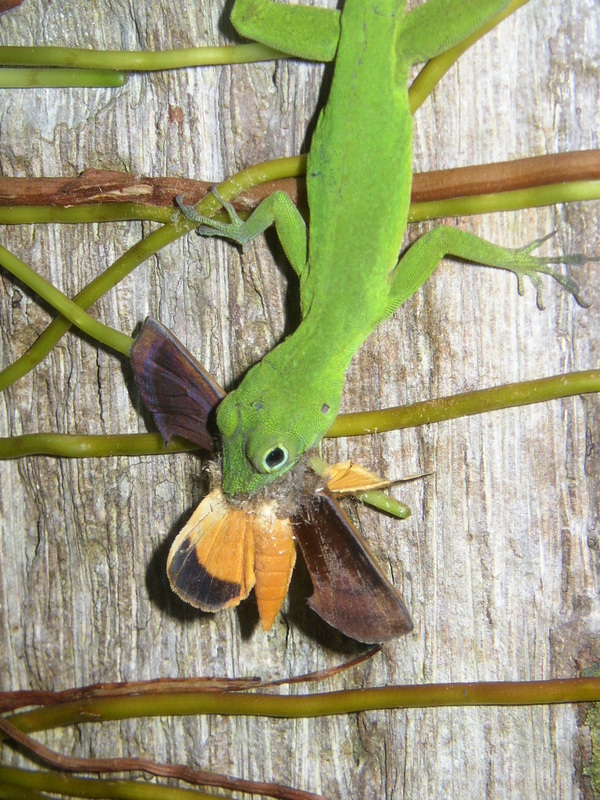 So far, I’ve discovered that most kinds of lizards eat insects and spiders that are soft and easy to chew. But sometimes, lizards will eat other lizards or other animals that have bones, which are much harder to bite into than a worm or cricket. I think that lizards that eat other animals that have bones will have stronger jaw muscles and bigger jaw bones than lizards that only eat food like insects. Some lizard species also use their jaws when they fight with other lizards over food or mates. I’m getting information about how often lizards bite each other from watching their behavior in the field. I think lizards that bite each other often will have stronger, larger jaws than lizards who don’t bite when they fight. After we know how the lizards use their jaws, we will catch the lizards to measure their bones and muscles under a microscope. This lets us measure the cells that make up the bones and muscles! It looks like I will have a busy summer collecting and understanding the data from the lizards, but hopefully, I can find some pretty cool results! Starting a new project is a lot of work, but it’s exciting to discover something new. Leah is a senior Biology major in the Lizard Lab. Leah is a great swimmer, and she's planning to be a pharmacist after she graduates.